Our team enjoys working hands on with students and introduces the basic elements of surfing. It all starts on the shore where you learn the motions of getting to your feet on the board. Our instructors will work closely with you and prepare you to ride small waves close to shore. Experience the exhilaration of riding a wave! Our team enjoys working hands on with students and introduces the basic elements of surfing. It all starts on the shore where you learn the motions of getting to your feet on the board. Our instructors will work closely with you and prepare you to ride small waves close to shore. While in the water, it’s very important that our students are comfortable and learn how to navigate through a “surfer’s” eyes. 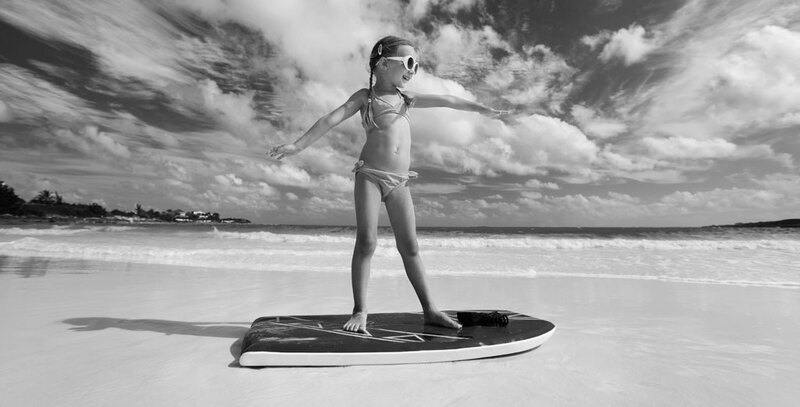 Our instructors have taught thousands of students and work hard to make sure that you feel comfortable in the surf. A great way to learn how to surf with family and friends. Group surf lessons include a 15-30 minute water safety briefing, along with a demonstration on the best ways to paddle your surfboard, catch waves, how to stand up, and stay up for the best ride ever! After paddling out together, your surf instructor will be there to coach and guide you into the rides of your life! Focus is on correct wave etiquette, style, and technique. For those interested in one-on-one personal attention to jump start their surfing experience or novice surfers looking to take their surfing to the next level. We all strive to get better at surfing and could use a coach to help achieve our goals. Book a one-on-one lesson with our instructor to help you break through to the next level. This is a great opportunity if you are a beginner or novice level surfer to increase your skill set. Our coach will help with your equipment, paddling technique, surfing stance and core surfing structure. Each class will include a video and performance review. At Mark and Dave’s we emphasize safety and fun in the water while learning to surf! 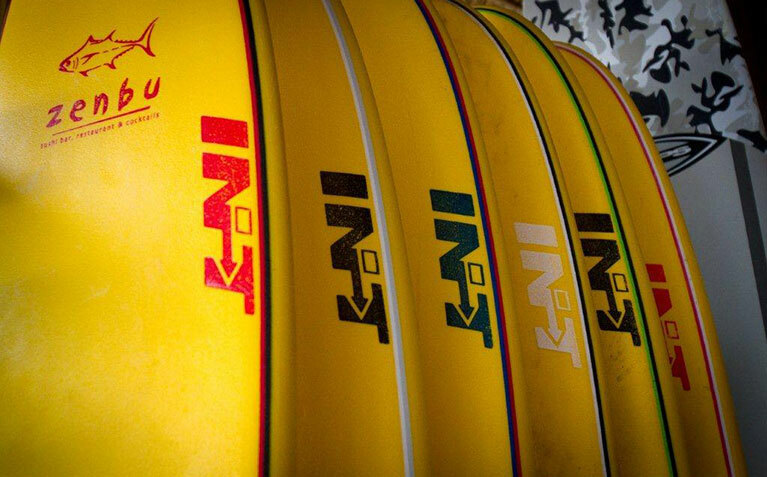 We provide high quality soft top foam surfboards from “INT”. These boards are buoyant and pliable to help avoid injuries. It’s always a plus at Mark and Dave’s to be seconds from “The Hacienda” when you’re ready to come off the beach and get out of the sun.